Dec. 2nd – Archeologists to Discuss Effigy Mounds at Muscoda Library | Three Eagles Foundation, Inc. Dec. 2nd – Archeologists to Discuss Effigy Mounds at Muscoda Library | Three Eagles Foundation, Inc. MUSCODA…..The effigy mounds of the Lower Wisconsin State Riverway and other regions in Wisconsin will be the topic of a special lecture and book signing at the Muscoda Public Library on Saturday, December 2nd, beginning at 10:00 a.m. A guided tour of the effigy mounds at Frank’s Hill in southern Richland County will follow for those interested. Dr. Robert Birmingham, former State Archeologist for Wisconsin, and Dr. Amy Rosebrough, Deputy State Archeologist for the Wisconsin Historical Society, will discuss the second edition of their book entitled, Indian Mounds of Wisconsin. The new edition will include LiDAR images of mounds, such as the Bloyer (Twin Lizard) mound group near Muscoda. LiDAR stands for Light Detection and Ranging and is a surveying method that uses pulsed laser light from an airplane to capture topography on the ground. LiDAR is not impeded by trees and other vegetation and produces a three-dimensional image of the earth’s surface, including effigy mounds. The technology has become an exciting new tool used by archeologists to see mound shapes from above. Dr. Rosebrough also will discuss her research and findings from her dissertation about mounds in Wisconsin. The event is co-sponsored by the Lower Wisconsin State Riverway Board, the Three Eagles Foundation which is the group that takes care of the mounds on Frank’s Hill near Muscoda, and Cultural Landscape Legacies (CLL), an organization dedicated to protection of mound and rock art sites in the Upper Midwest. CLL is known for marshalling volunteers to work on maintenance of mounds sites on public and private lands in the Riverway. Mark Cupp, Executive Director of the Riverway Board, who also is involved in leadership roles with the Three Eagles Foundation and CLL, said, “Bob Birmingham and Amy Rosebrough are two of the most knowledgeable scholars in Wisconsin regarding the effigy mound builders from the Late Woodland Tradition. They will discuss the people that lived in this area 1000 years ago and their unique earthworks in the shapes of animals such as eagles, bears and panthers. Exciting new imagery using LiDAR will enhance the view of mounds and will be shared at the lecture. Anyone with an interest in effigy mounds and the history of southwestern Wisconsin prior to European contact won’t want to miss this special event.” Cupp also thanked Lorna Aigner, Library Director, and her staff for making the event possible. 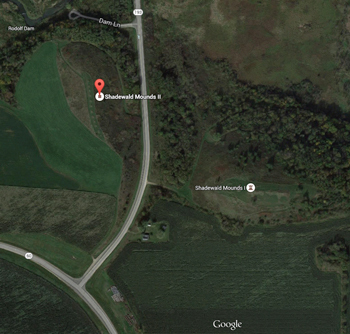 He noted the guided tour of the effigy mounds at Frank’s Hill will occur if the weather permits. A short hike to the top of the hill will be required. Questions about the event may be directed to Cupp at the Lower Wisconsin State Riverway Board office by calling 608-739-3188. Additional details will be posted on the websites and Facebook pages for both the Three Eagles Foundation and Cultural Landscape Legacies. For further information, contact Mark E. Cupp, LWSRB Executive Director, at (608) 739-3188 or by cell phone at (608) 739-2179 or by e-mail at mark.cupp@wisconsin.gov.